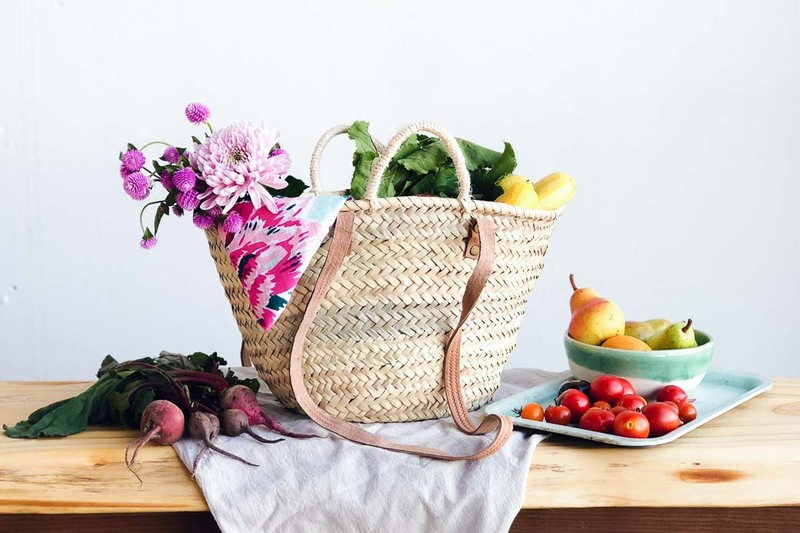 The Mahon classic french market basket is just right for that quick trip to your local farmers market when your shopping list is short and your bounty is sweet. 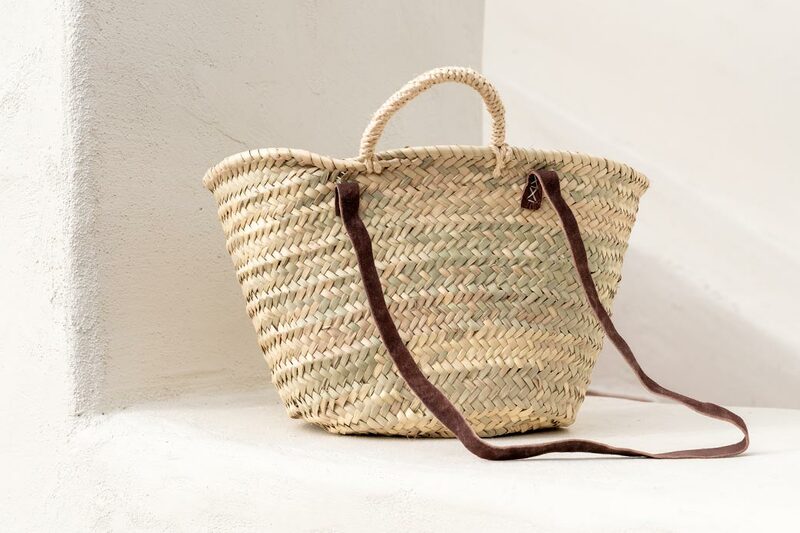 Slightly smaller than the Palma, this basket is also hand-woven from palm leaves and features a flat bottom, allowing it to stand up on it own while your shop for your fruits and veggies. A pair of short twisted rope handles and a pair of long natural leather straps offers two options to tote your goods through the market - carrying by hand or over-the-shoulder. However you hold it, the Mahon is destined to become one of your favorite (and useful!) accessories.